Product prices and availability are accurate as of 2019-04-21 22:58:40 EDT and are subject to change. Any price and availability information displayed on http://www.amazon.com/ at the time of purchase will apply to the purchase of this product. 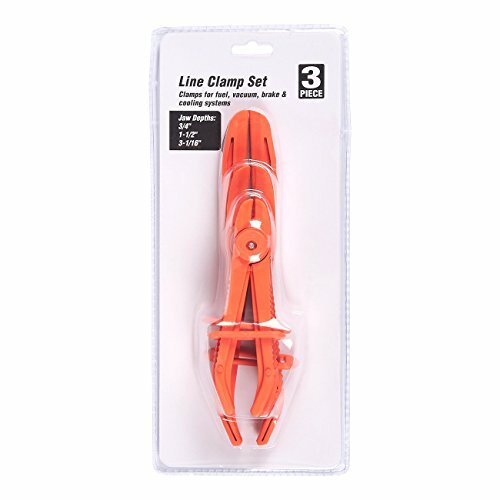 When you're looking to clamp-off a hose reach for these hose clamp pliers! These pliers close off flexible hoses while leaving them undamaged. Use the locking mechanism to leave your hands free to repair! These pliers are heat resistant, lightweight, non-conductive and rust-proof. *Wear ANSI-approved safety goggles during use. 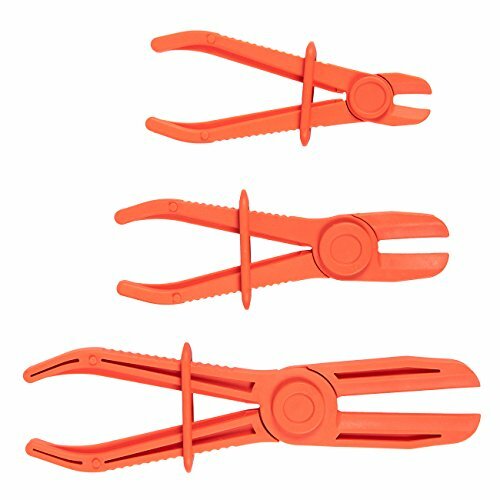 HOSE CLAMP PLIERS: Includes 3 heat-resistant nylon pliers for closing off flexible hoses. These pliers can lock into position leaving your hands free to repair. Not for use on rigid, reinforced, or high pressure lines. 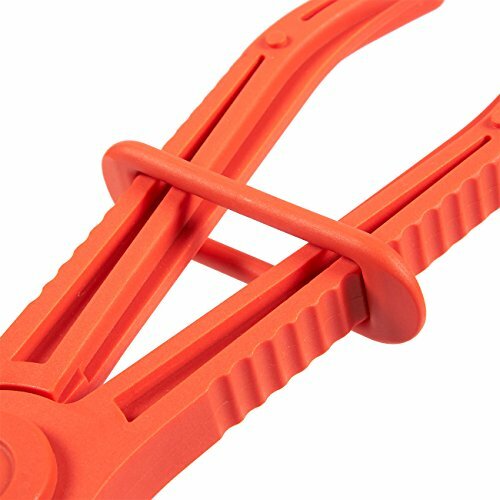 ALL THE RIGHT PROPERTIES: These clamps are durable, light weight, non-condutive and rust-proof. CLAMPS FLEXIBLE HOSES: Great for use on brake hoses, fuel hoses, gas lines, coolant hoses, radiator hoses, lawnmower fuel gas lines and more! 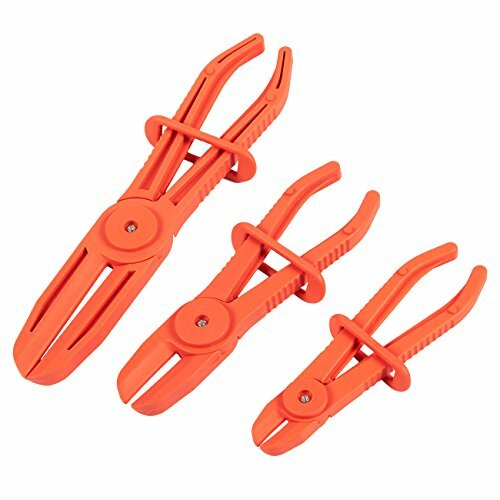 VALUE PACK: Get 3 hose clamp pliers at a value price! Make sure to always have some on hand when you need them. DIMENSIONS: Large pliers measure 9-15/16 x 3/4 x 2-1/8 inches; Medium: 7-3/16 x 3/4 x 1-7/8 inches; Small: 6-1/8 x 5/8 x 1-5/8 inches.